I love vintage kitsch. I love animal print. So it seems only natural that I would be head-over-heels in love with Bet Lynch's style. (In fact, if you Google "Young Bet Lynch" on Google images, you can find my photo on the second page!) 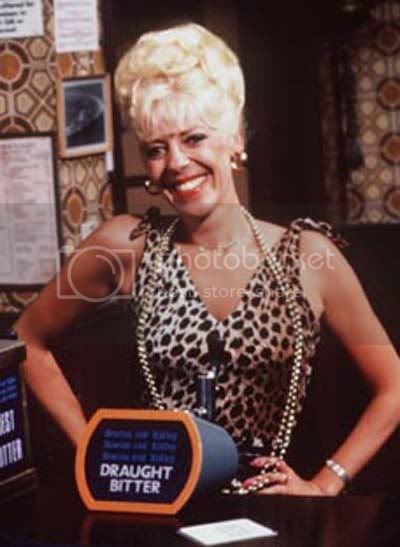 The brassy barmaid from Coronation Street is well known for her adoration of tacky, over-the-top style... and I love it! 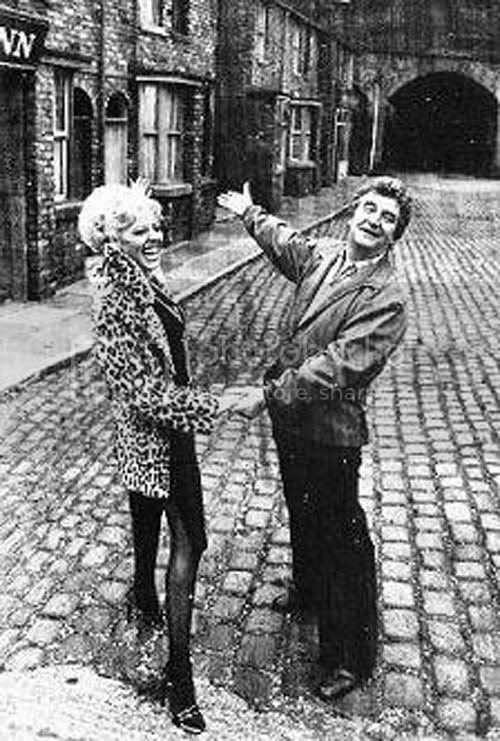 Luckily for me, leopard print is having something of a revival (as you can see here, here and here) so I don't need to hunt long to find that Rovers Return chic. First things first, we need leopard print. Lots of it. Preferably a big fur coat. The fur coat is, of course, a necessity. Although Bet was a fan of over the top glamour, mixing prints was quite rare. Instead, team with a simple black bodycon dress and suede ankle boots for Weatherfield glam. Accessorize with gold to accentuate the leopard print- hoops or large studs and multi-strand necklaces bring kitschy glitz to the look. Finalise with a sweep of bright red lipstick and you're fit for the Rovers! Wow. I would have never thought of her. Want to start following each other? Gold and animal print are made for each other!!!! I can see from your lookbook profile that you are in love with leopard!! !